A Run for the Slum team will be taking part in the Bristol 10K again this year, on Sunday 20 May 2012. If you would like to support us and run, please click here for information and to register directly with the organisers of the race. Please register yourself as part of team ‘Run for the Slum, and email saffia.bullock@arban.org.uk to let us know you are joining us. 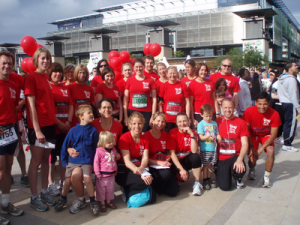 We would love people to wear a Run for the Slum t-shirt – £7.50 from Saffia.